Bird lovers have been invited to flock to a special event to help a rare bunch of Redlanders. As part of Threatened Species Week 2013, they can join the 10th annual Glossy Black-cockatoo Planting from 9am-11am on Saturday 31 August at Russell Island. 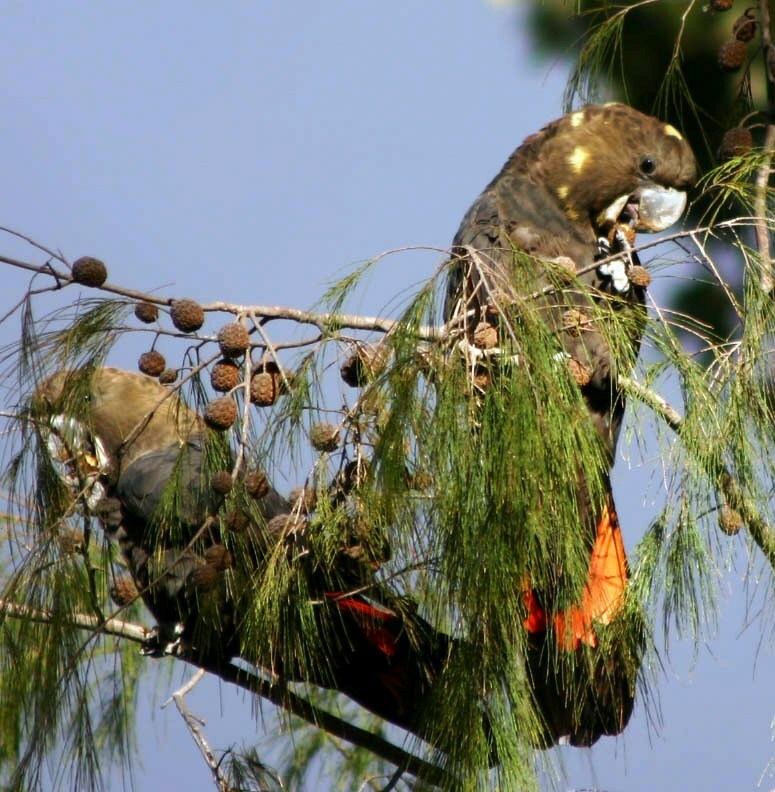 Redland City’s Cr Mark Edwards, whose Division 5 includes the bay islands, said the event was particularly important as Glossy Black-cockatoos, which can live for 30 years, are a threatened species and currently listed as vulnerable in Queensland. “This year is our 10th annual planting, with more than 6000 native plants having been planted in the past nine years to create new Glossy-Black cockatoo habitat,’’ Cr Edwards said. “These cockatoos are very special Redlanders and Redland City Council is committed to ensuring they continue to have the habitat they need to thrive. “To do this we need the help of volunteers to plant another 700 native food and nesting trees at this month’s event’’. The Glossy Black-cockatoo’s only source of food is the seeds of the black she-oak and forest oak, with females only laying one egg every two years. It has a longer nestling period than any other cockatoo (up to 90 days), with the young dependent on the parents for at least 12 months. Trees with large hollows are needed for breeding, emphasising why remnant vegetation must be retained as much as food trees. Cr Edwards said Glossy Black-cockatoo Community Plantings were always held on the bay islands as they already boasted strong habitat areas for the species. The cockatoos also are regularly sighted on the mainland at Alexandra Hills, Thornlands, Mount Cotton, Victoria Point and Redland Bay. “This event underlines the work Council does to protect our very special environment here in the Redlands and all those who call it home,’’ Cr Edwards said. He said volunteers should meet at the corner of Bamboo Road and High Street, Russell Island. “This is a great opportunity to help the endangered cockatoos and also enjoy a day out in the beautiful surrounds of Russell Island and jump on a ferry to visit neighbouring islands,’’ Cr Edwards said. “Remember to bring sun protection and drinking water. You’ll also need enclosed shoes. Off-street parking will be available (UBD Ref. Map 248 K15) or you can catch the ferry from Weinam Creek Marina, Banana Street, Redland Bay, at 9am. Register with IndigiScapes on 3824 8611 if you need a transfer to the planting site on Russell Island.